But wait, what about Katee Sackhoff’s corroboration? 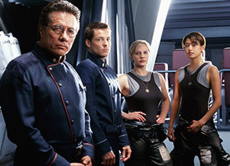 I’d like to believe there will be more Battlestar but apparently Olmos and Sackhoff got the idea from somewhere, right? Stay tuned!